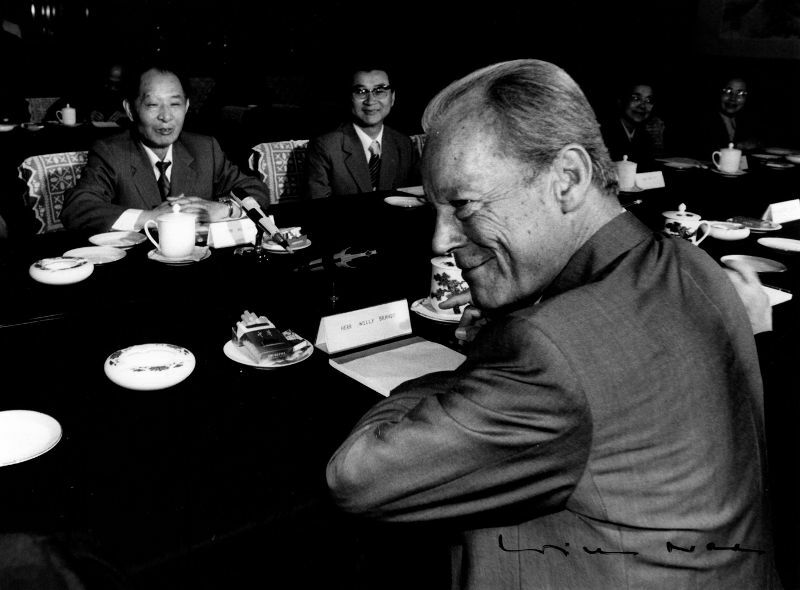 high-ranking official of the People's Republic of China (1915-1989). Signed portrait photograph. N. p. 240:175 mm. 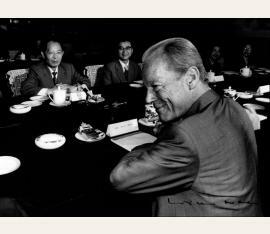 Official German press photograph of the Chinese politician Hu Yaobang together with German Chancellor and Nobel Prize Winner Willi Brandt. Signed by both recto.